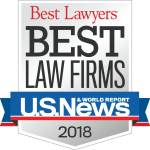 Gum, Hillier & McCroskey, PA has been ranked in the 2018 "Best Law Firms" list by U.S. News & World Report and Best Lawyers in America. The firm is the recipient of the the Tier 1 Metropolitan Award for Family Law Practice in Asheville, and the Tier 3 Metropolitan Award for Bankruptcy and Creditor Debtor Rights / Insolvency and Reorganization Law, also for practice in Asheville. The beginning of a new school year is a time when many parents are faced with making a decision regarding where their child should be enrolled in school. Where a child attends school may impact the quality of the child’s education, as well as the child’s happiness and overall development. Parents often feel strongly about decisions that can have a long-term impact on their child. Howard L. Gum was elected to the Board of Governors of the North Carolina Bar Association at its Annual Meeting in Asheville on June 24, 2017.